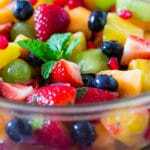 Watch How to Make delicious Fresh Pineapple Fruit Salad! So…I have a confession to make. I’m not really a fruit person. Like, if you offer me chocolate or a piece of fruit, I will always, always go for the chocolate. Because chocolate is love. But lately, I’ve been trying to add more fruit to my diet. 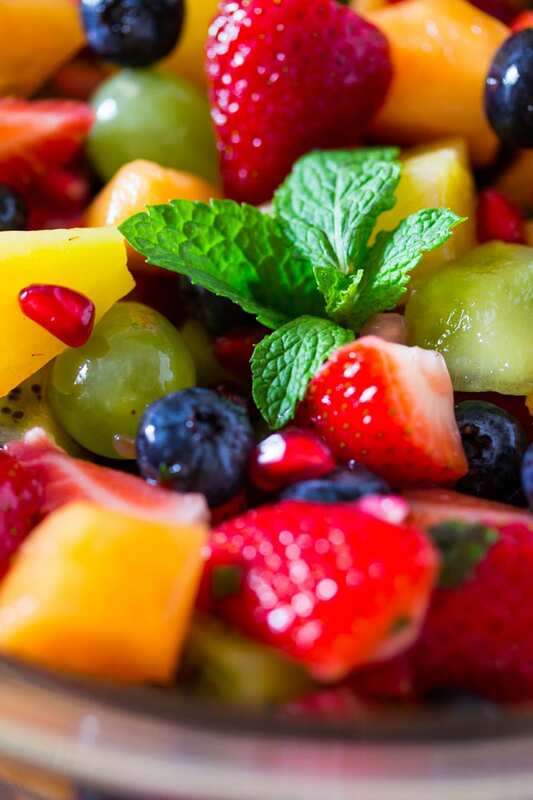 And this pineapple mint salad has quickly become my favorite way to eat lots of fresh and delicious fruit all together. And it’s so pretty too! 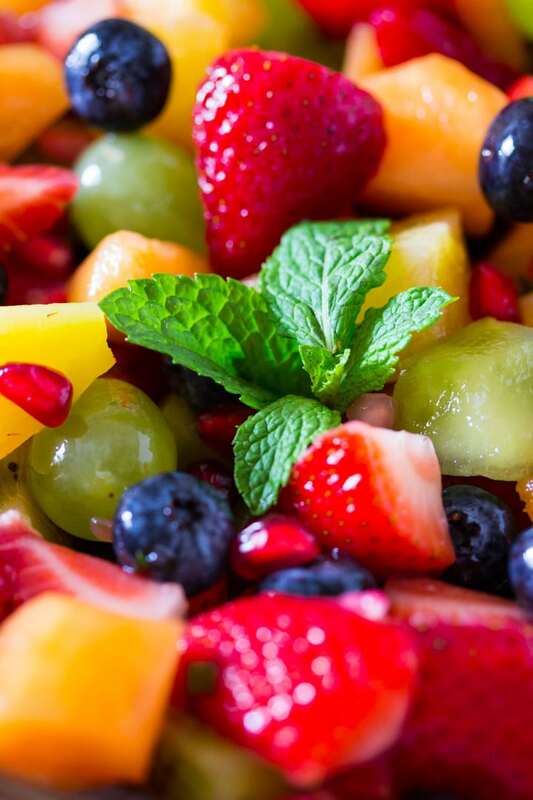 While my love for chocolate will never die, with this salad, I’m happy enough to add more fruit to my diet. I’ve seen a lot of fruit salad recipes that call for an orange honey dressing, and while I’m sure that’s equally delicious, I wanted to do something differently. And so I added pineapple juice instead of orange juice, and let me tell you – the pineapple juice makes a huge difference to the salad. In the video above, it may seem like I’ve added too much pineapple juice for a fruit salad, but seriously it makes the fruit salad so juicy you won’t be able to stop eating it. The honey adds a little sweetness, the lime adds a fresh kick of brightness and the chopped mint adds a subtle but fresh flavor to the pineapple salad. Now, I’ve always found adding mint to desserts / sweet stuff, a bit weird. But it really works here. So if you like mint, don’t skip it! The measurements below in the recipe card are just approximate, and it really doesn’t make a difference if you don’t follow the recipe to a T. It will still turn out delicious. I know how I’m going to be eating fruit all summer long, what about you? 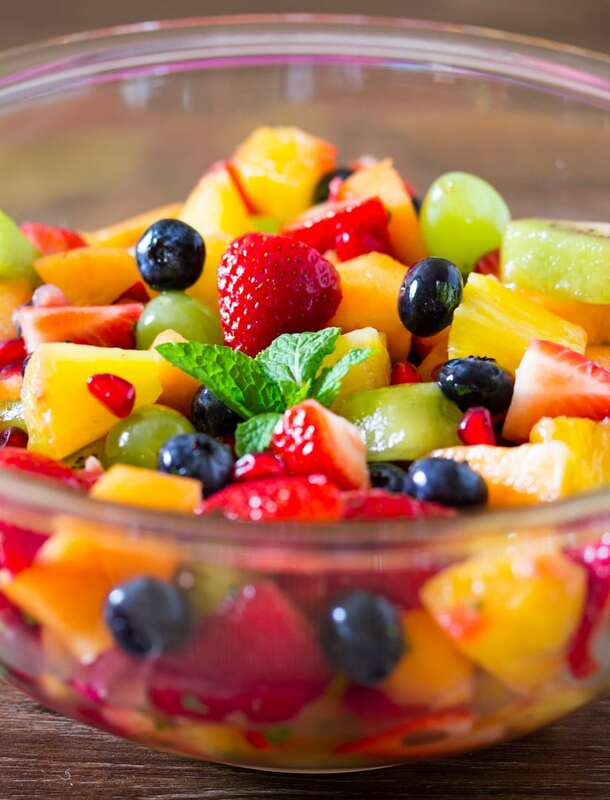 Honey Pineapple Rainbow Fruit Salad is the perfect refreshing and delicious way to enjoy fruit. Perfect for breakfast, a mid afternoon snack or even a light dessert! In a mixing bowl, whisk together the pineapple juice, honey, lime juice and freshly chopped mint. 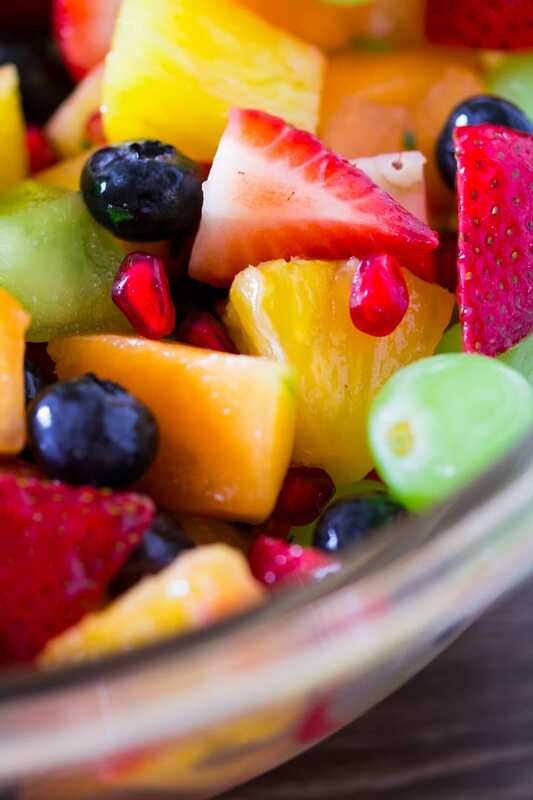 Add all of the fruit to the mixing bowl, and gently toss together until the the dressing coats all of the fruit nicely. Sooooo…. how much could I pay you to deliver this to me right now? haha! It looks so refreshing! Such a wonderful combination of fruit flavors and colors. This is a lovely, lovely salad. pineapple and lime sounds like a match made in heaven! !